What Is a “Partition Action”? - What Is a “Partition Action”? What Is a “Partition Action”? What happens if more than one individual owns a property or building and the relationship sours? What about multiple persons inheriting the same home who don’t wish to co-own the property together? In these cases, a partition action may be necessary to divide the home or business and ensure each side receives their fair share. As the experts at Fast Home Help explain, a partition action is often required whether the co-owners want to keep or sell the home. · Actual Partition: With an actual partition, the property or real estate will be divided amongst the co-owners. Each individual maintains a portion of the property. · Partition By Sale: Sometimes referred to as “licitation” and “succession” partition, this system involves selling the homeor property in question and dividing the remaining proceeds amongst the former co-owners. In many cases, this system is preferable for those with no sentimental attachment to a home or business. The type of partition that will best address the needs of the co-owners will depend on a number of factors. A lawyer can help you navigate the paperwork and understand the laws that govern partitions in your state. What Happens Following a Partition Action? Actual partitions or partitions by sale may be voluntary or judicial. If a partition is voluntary, meaning the arrangement has been set up and approved by the co-owners of the property, the process is typically short. However, partition that develops as a result of a lawsuit or court ruling, or a judicial partition, can quickly become complicated. If entering into a partition action is necessary to liquidate a business or sell a home owned by multiple people who don’t plan on co-owning, entering into a voluntary partition would be recommended. This is a question asked by many people, whether they own a business or a home with other people. Do I have to sell? As we discussed above, you can always maintain ownership of a portion of the home with an actual partition. However, most people elect to partition by sale, simply selling the home or property. The courts will then decide who will receive what portion of the proceeds to ensure a fair and even division. If you and your partner or co-owner decides to sell the home yourselves and agree upon a division, you can bypass the legal wrangling and fees that accompany a partition. However, you will need to agree on every aspect of the sale and division, something that is sometimes just not possible when a business partnership dissolves or tensions rise when dividing an inherited home. If you think you may be interested in selling a home, you can contact Fast Home Help to request an all-cash quote. 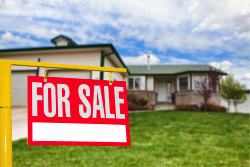 We’re happy to answer any questions you may have about the process of selling a home.